Twelve of Croatia Airlines' captains have resigned from their pilot instructor positions following the dismissal of one of their colleagues. In a letter sent to employees, the pilots said no reasonable explanation was provided by the airline's management for the sacking. They noted that the move is part of an "atmosphere of fear" which has engulfed the carrier. "Being penalised just because, perhaps, you have a difference of opinion or even dare to publicly voice those oppinions is unacceptable to us. These are not standards and values we want to build our professional careers on", a joint statement from the group of pilots said. The CEO of Croatia Airlines, Krešimir Kučko, said he used his discretional right to dismiss the instructor and bring in younger staff. He labelled the letter drafted by the twelve pilots as a "pamphlet" aimed at pressuring the management during talks over new collective bargaining agreements. 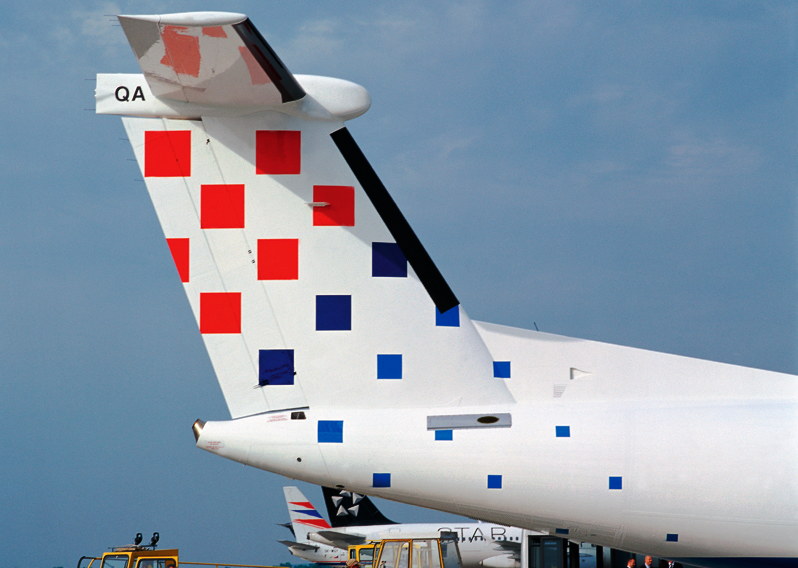 The union representing Croatia Airlines' pilots, cabin crew and mechanics is soon expected to make a decision on whether to launch industrial action. Respect to the colleauges for such action! Unfortunalty this is the only way that the management will understand. The text says "Pilot instructor position", so they are not actual pilots, right? I think this won't have any affect on airline's operations in short term. And I always admire people who can immediately have a judgment over complicated cases, without any other input than one-sentence statements of both parties. They are pilots who also have instructor positions. They resigned from their instructor positions but kept their pilot positions. It is a bit of a problem because that is the majority of their instructors gone. Same thing is happening with mechanics. They should all go and work for Ryan Air or Wizz air now, I hear better working conditions there. And pays are almost as good as in OU, well almost. OU pilots get €55-70 000 per year, Ryan Air pilots get almost €40 000. I hear Qatar and Emirates might be hiring, but their working conditions require strict obedience, sure they pay up to $120 000 per year, but you're now allowed to speak or complain. OU currently employs around 70 pilots. 105 standardly employed and around 20-30 pay to fly pilots..
Captains pay is around 3500euro and senior first officer is around 2800euro..during summer months this goes up to 4000euro for captain and senior first officer to 3000-3200 but you fly 80h per month. Are you sure OU pilots get paid this much??? Respect to the instructors ! OU has about 120 pilots and captains make about 5 thousand Euro's per month plus bonus's with first officers making about half that so the wages quoted above are about right. If they have no more instructors, are they even legal ? Surely this should put them in the spotlight with their civil aviation authorities ?? Do not be uprised with wages; belive it or not JU pilots are just a bit behind...well paid job!